What should I wear to my first Krav Maga class? All you need is a: t-shirt, tracksuit bottoms/training trousers, and trainers. 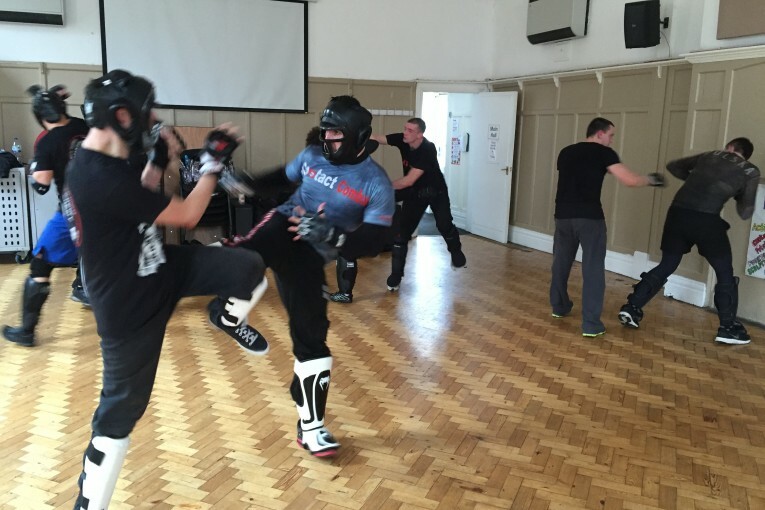 Regular students and Instructors often wear official Krav Maga uniforms consisting of a t-shirt and black Krav Maga or kickboxing type trousers both items adorned with the club’s or organisation’s logos. Wrestling/grappling boots or flexible soled trainers (like Barefoot) are what most Krav Maga students choose as footwear for training. It is not always a requirement to wear the official uniform, but it is recommended (it stops expensive clothing being ruined!). Yes. Groin protection is mandatory, or at least it should be, if it isn’t, start asking questions because groin strikes are part of Krav Maga – “No Groin, No Krav Maga”. A Krav Maga or martial art type groin protection is the most suitable. I am out of shape. Will Krav Maga help me lose weight and get in shape? Definitely! Krav Maga Instructors should incorporate: conditioning, flexibility, and strength training into every class. Many students start seeing results in a just few weeks of training. How long will it take me to become proficient at Krav Maga? Krav Maga is a very fast-progressing system. Part of its design was driven by the need to train people very quickly and very efficiently. Consequently, it typically takes a person of average physical ability perhaps only several months before significant progress is achieved and noticeable. Spartans Academy of Krav Maga (who work under the Non-Profit Network of KMUK), claim that just two hours of Self Defence training is better than nothing and can prove this though one student who got attacked on their way home from their first two hour trial class (with Spartans) but were able to defend themselves and get home safely using what they had learnt that very evening – impressive stuff! 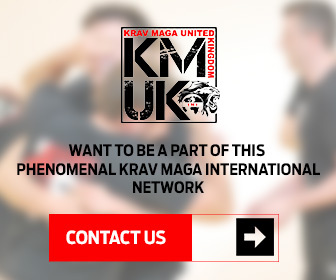 They have many other success stories, one of a student who only had 16 hours Krav Maga self defence training but had learnt enough in that time to be able to use it when they needed to. What if I have/haven’t taken martial arts classes before? For many people, Krav Maga is their first experience in martial arts. However, there are also many students who start Krav Maga already having numerous years of experience in other systems. In fact, most Krav Maga instructors have years of training in a variety of systems. Therefore, Krav Maga has proven to be a very open system and welcomes all who wish to participate, regardless of background. Usually 1-1.5 hours per class, but some Clubs and Academies run 2 hour classes, these are the optimum length of class for learning Krav Maga quickly. 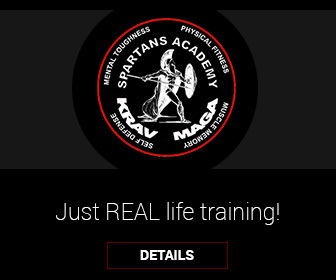 Hope this has helped, now go forth and enjoy your Krav Maga experience!